As Northfield Mount Hermon students, we recognize that we live in a “boarding school bubble.” We are in an isolated community that shields us from the outside world. Many of us do not pay attention to the events in nearby towns and cities since it does not directly affect us. To become a contributing global citizen, it requires us to go beyond the bubble and be aware of the space around us. Thus, we decided that we wanted to create a civic engagement platform for high school students in Franklin County in order to encourage students like us to burst the bubble and look into the reality of our local area. CivicExpo is based on the idea of collaboration among high school students in the same area via virtual forums. 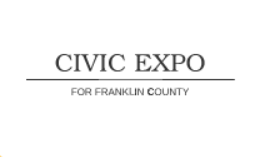 The mission of CivicExpo is to better connect high school students in Franklin County in order to enhance civic life in the community. The first section of this social enterprise is a forum. We will set up a website that allows users to post discussions and information threads about activism in nearby communities. Unlike now how students rely on the school administration to provide them with information about current issues, the role of this forum is to enable students to learn about different events that are happening in Franklin County. Students will no longer passively receive messages, but they will be actively participating in conversations online with other students from different schools. The second role of the forum is that it will provide high school students from Northfield Mount Hermon, Stoneleigh- Burnham, Greenfield High School, Turners Falls, and Pioneer Valley a platform where they can express new ideas, or feedback to ideas. Students can engage in discussions about topics of their choice on the platform, and they will not be limited to existing events. Another section is dedicated to student-initiative event organization. CivicExpo highly encourages students to initiate civic engagement projects for the community. Students can propose their idea to the core team during a live conference on an announced location, and the core team will discuss and help organize events with the students. The core team consist of representatives from each membership school. The team is responsible for moderating the discussions, updating event information, and checking student proposals. Right now, we are at the beginning stage of the organization. In the following weeks, we will contact schools who we want to partner with, talk to local officials, and survey Greenfield residents for their opinions on the project. We're looking forward to this work ahead in connecting different constituencies within our community.